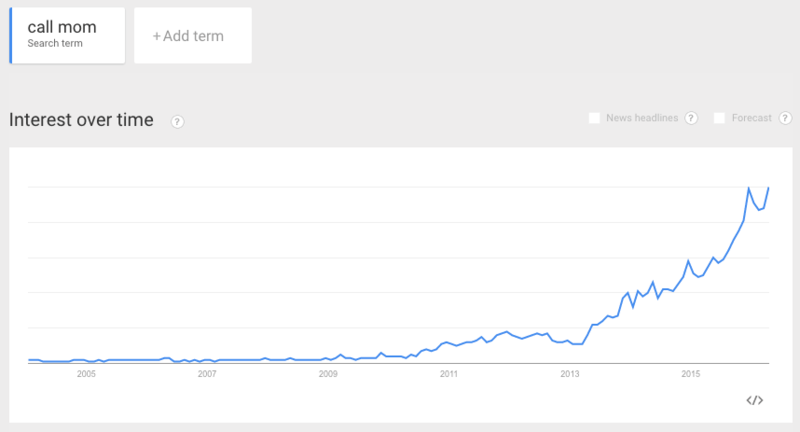 “Call mom” has overtaken “call home” in Google search – probably voice commands. Dad still lingers a way behind. You can sign up to receive each day’s Start Up post by email. Isn’t that something. A selection of 11 links for you. Well, it is Monday. I’m charlesarthur on Twitter. Observations and links welcome. »If I claimed that Americans have gotten more self-centered lately, you might just chalk me up as a curmudgeon, prone to good-ol’-days whining. But what if I said I could back that claim up by analyzing 150 billion words of text? A few decades ago, evidence on such a scale was a pipe dream. Today, though, 150 billion data points is practically passé. A feverish push for “big data” analysis has swept through biology, linguistics, finance, and every field in between. Although no one can quite agree how to define it, the general idea is to find datasets so enormous that they can reveal patterns invisible to conventional inquiry. The data are often generated by millions of real-world user actions, such as tweets or credit-card purchases, and they can take thousands of computers to collect, store, and analyze. To many companies and researchers, though, the investment is worth it because the patterns can unlock information about anything from genetic disorders to tomorrow’s stock prices. But there’s a problem: It’s tempting to think that with such an incredible volume of data behind them, studies relying on big data couldn’t be wrong. But the bigness of the data can imbue the results with a false sense of certainty. Many of them are probably bogus — and the reasons why should give us pause about any research that blindly trusts big data. »[Mikey] Dickerson led the U.S. Digital Service, a new agency whose mission was to fix other technology problems in the federal government. Ex-Google staffers were prevalent there as well. Dickerson attended nine White House meetings with Google personnel while working for the government between 2013 and 2014. Meetings between Google and the White House, viewed in this context, sometimes function like calls to the IT Help Desk. Only instead of working for the same company, the government is supposed to be regulating Google as a private business, not continually asking it for favors. Much of this collaboration could be considered public-minded — it’s hard to argue with the idea that the government should seek outside technical help when it requires it. And there’s no evidence of a quid pro quo. But this arrangement doesn’t have to result in outright corruption to be troubling. The obvious question that arises is: Can government do its job with respect to regulating Google in the public interest if it owes the company such a debt of gratitude? Google doesn’t think its activities present an antitrust problem. It doesn’t feel constrained from holding incredible amounts of data. But should Google be in a position to make that determination itself? How much influence is too much influence? It’s a very, very comprehensive look at how close Google is to the White House. Would it be any different under Clinton? »A week ago I reported on my personal blog how criminals were spamming out SMS messages that claimed to come from Apple, but were actually designed to steal personal information for the purposes of identity theft. The messages all used a cunning piece of social engineering – posing as a notice from Apple that their Apple ID was due to expire that very day – to get unsuspecting users to click on a link to a phishing website. The SMS messages were even more convincing because they referred to recipients by name, most likely fooling some into believing that there was a genuine reason to act upon the alert and visit the site pointed to by the criminals. Although the site the criminals were initially using – appleexpired.co.uk – was quickly blocked by the major web browsers and taken down, that didn’t take the wind out of the criminals’s sails. In the days since it has become clear that the identity thieves have registered a series of other domains – all claiming to be related to Apple or Apple ID. Examples have included icloudauth.co.uk, mobileicloud.uk, and icloudmobile.co.uk. There was a big run of these over the weekend; my wife received two, which used her name. They do come via SMS; it seems that once someone’s address book is hacked, messages are then sent out to people in the address book. Standard phishing attack, jumping from one victim to the potential next. »Microsoft missed earnings expectations by a couple of cents per share on Thursday afternoon because of an unexpected tax adjustment that skimmed $0.04 off its earnings per share. In the release, Microsoft noted that its patent-licensing revenue was down 26% from a year ago. And it’s because of Android. Android phones are still selling just fine, but the market is dominated by cheap handsets being sold in developing countries like China and India. “The mix of devices in that market has shifted to the low end,” said Chris Suh, Microsoft’s head of investor relations. Microsoft’s cut is also sinking. Suh also noted that not every Android manufacturer has a licensing deal with Microsoft. He didn’t name names, but Chinese phone makers typically take a very loose approach toward licensing American intellectual property, and as those inexpensive phones take over the world, Microsoft doesn’t benefit as much. Well, OK, but there may be another part to the drop. Read on..
»Last month, Microsoft announced a global partnership with Samsung and other hardware manufacturers to bring its mobile productivity services, such as its Office suite, to consumers and business users. But there may be more to it than simply offering customers compelling services, DigiTimes Research suggests that Microsoft is tempting Android manufacturers to pre-install its software in exchange for discounts on its licensing fees. Android hardware manufacturers have all signed a patent licensing agreement with Microsoft for various essential technologies developed by the company. However, according to findings from Taiwan’s and China’s smartphone/tablet upstream supply chain, Microsoft is offering discounts to those who pre-install Office programs such as Word, Excel, PowerPoint and OneNote, as well as OneDrive and Skype onto their Android devices. So far, 11 hardware partners are signed up to the deal. »Recently, a company known as MindMeld, which provides voice search technologies, surveyed US smartphone users and found that 60% had started using voice search within the past year. You can also see a rise in search queries that are clearly voice commands when you look at Google Trends for phrases such as “call mom,” which are highly unlikely to be typed into a search box. Voice search is no longer coming. It’s here. These changes do not bode well for Google’s traditional revenue model, which relies on serving up ads while you search on Google.com. The user interface of talking to your mobile phone or wearable device to order a pizza does not leave any room for a paid search ad. So it’s not surprising that display advertising spend is overtaking search ad spend, and the gap between the two will widen over the next few years. But, as Dorfman points out, Google is adapting. That graph of “call mom” is definitely one which would merit playing around with using a few other search terms. Here’s “Call home” against “call Mom” against “call Dad” and “call John” and “call Mary” (also at top of page). »if you read 75 pages on your Kindle today, then turn the WiFi on and sync it, Amazon will mark you at page 75. If you never pick up the book again, that’s your furthest synced point. If it’s a 300 page book and you finish it, page 300 is your furthest synced point. But e-books don’t have to be linear. You might, for example, open up a new Kindle book and find it has a link on the first page, to take you to a later chapter or a table of contents or another language. Tapping that link could put you hundreds of pages into the book — which means that the author of that file is now making money off you, even if you haven’t read a word… or even if there’s not a single real word there to be read. And that is exactly what’s happening. Scammers are basically uploading “books” that are nothing but files full of nonsense with some link on page 1 that puts readers on page 300 or 3000 (the maximum page length for which Amazon will pay out) almost instantly. In between there’s nothing but nonsense, but the scammer can use click farms to drive up the ranking of their book and so people download it anyway. The user hasn’t paid for this book directly, because they have an unlimited subscription, so they just close the file, forget about it, and move on to the next. But if dozens, hundreds, or even thousands of readers get tricked into the same maneuver, that “author” has just made a decent amount of money for something like 15 minutes’ worth of total work. »Bangladesh’s central bank was vulnerable to hackers because it did not have a firewall and used second-hand, $10 switches to network computers connected to the SWIFT global payment network, an investigator into one of the world’s biggest cyber heists said. The shortcomings made it easier for hackers to break into the Bangladesh Bank system earlier this year and attempt to siphon off nearly $1 billion using the bank’s SWIFT credentials, said Mohammad Shah Alam, head of the Forensic Training Institute of the Bangladesh police’s criminal investigation department. “It could be difficult to hack if there was a firewall,” Alam said in an interview. The Internet of Astonishingly Insecure Things. This notion of a bot handling the above sorts of tasks is a curious kind of skeumorphism. In the same way that a contact book app (before the flat UI fashion began) may have presented contacts as little cards with drop shadows and ring holes to suggest a Rolodex, conversational UI, too, has applied an analog metaphor to a digital task and brought along details that, in this form, no longer serve any purpose. Things like the small pleasantries in the above exchange like “please” and “thank you”, to asking for various pizza-related choices sequentially and separately (rather than all at once). These vestiges of human conversation no longer provide utility (if anything, they impede the task). I am no more really holding a conversation than my contact book app really is a l’il Rolodex. 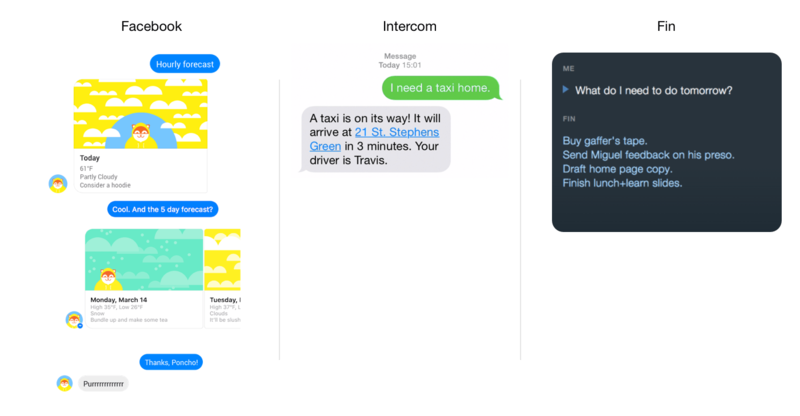 At the end, a single call to some ordering interface will be made. Earlier Grover points out that the “quick and easy way to order pizza with your chatbot” takes 73 precise clicks (of virtual keys), whereas doing it through the visual menu interface on the Pizza Hut app takes 16 fat-fingered ones. »My gut told me there was an interesting opportunity brewing in India. I decided to commission a study, in collaboration with local researchers, to see if India was ready to move beyond the smartphone. We focused on the regions in India where PCs, smartphones, and tablets have the highest penetration — Delhi, Bangalore, Mumbai, Hyderabad, and Chennai. We did a mix of online studies, focus groups, and 1:1 interviews of 525 Indian consumers in this market. The theory was simple. As consumers in India mature and have owned more than a few smartphones, they will look to more traditional PC form factors to use for work, school, and more. But with Windows PC penetration in India at less than 10% of the total population and Windows largely being an enterprise/workplace requirement in India, our theory was Android would be more popular as an operating system. 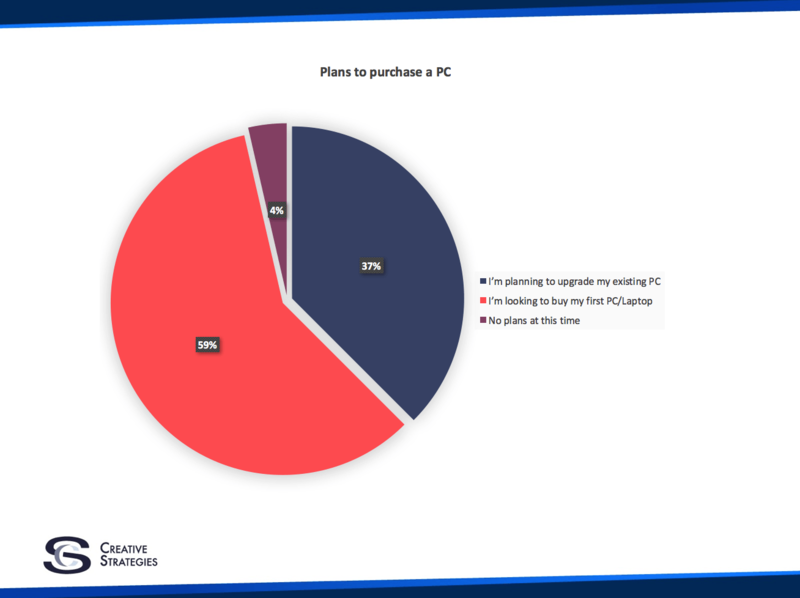 As it turns out, it was for the overwhelming majority of consumers looking to buy their first PC in India. Which is encouragingly high for a market that began their journey on the internet on a smartphone. »According to a person familiar with the matter, the two companies have agreed to talk to each other first in the future before taking any problems to regulators. The change reflects the shift in approach that followed Microsoft’s 2014 appointment of Satya Nadella as its new chief executive. Mr. Nadella has taken a less combative stance than his predecessor Steve Ballmer, according to a person familiar with the matter. Microsoft’s business priorities also have changed, among other things, with the growth of cloud computing. The relationship between the two companies began publicly to thaw last year as they worked together to settle their long-running patent war involving roughly 20 pending lawsuits, said a person close to Google. Microsoft also resigned from FairSearch, a group of digital companies—including Nokia Corp. and Oracle Corp.—that are prominent Google complainants. In addition, the software maker has discouraged ICOMP, another lobby group of which it was a member, from pursuing Google. Wow. Going to be interesting to see whether Icomp and Fairsearch can continue without funding from Microsoft. This entry was posted in links and tagged amazon, android, apple, bigdata, bots, google, hacking, kindle, lobbying, microsoft, patent, phishing, voice by charlesarthur. Bookmark the permalink.